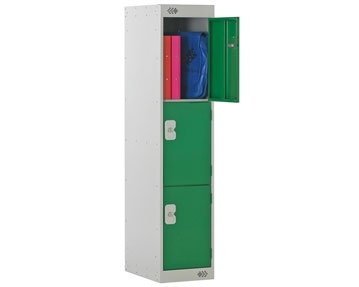 At Furniture At Work, we offer a wide range of student lockers. 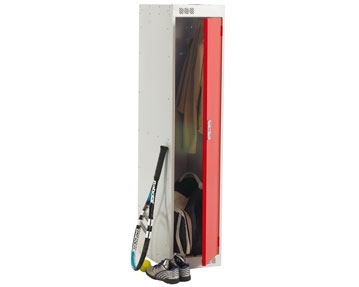 These units make the perfect storage solution and be used to organise just about anything, such as books, sporting equipment, toys and personal belongings including bags and coats. Our collection includes locker units with one, two or three compartments, meaning you can choose designs that best suits your precise needs. You can take your pick from a variety of locker door colours too. From red and yellow to green, blue and grey, these lockers can add a splash of colour to your spaces. 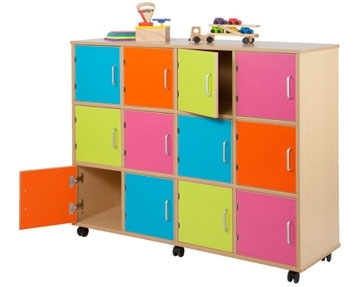 Our range also includes our brightly coloured bubblegum lockers that are perfect for younger students. These units are ideal for use in classroom or cloakroom spaces and have been designed with smooth castors for easy transport. All of our products have been designed to last. Manufactured using hardwearing sheet steel and featuring welded door frames with folded edges, each unit has riveted semi-concealed knuckle hinges and reinforced door channels on both sides for added strength. For maximum security, every door compartment features a key operated lock. So, whether you’re after lockers for schools, colleges or other environments, you won’t struggle to find what you need in our collection.